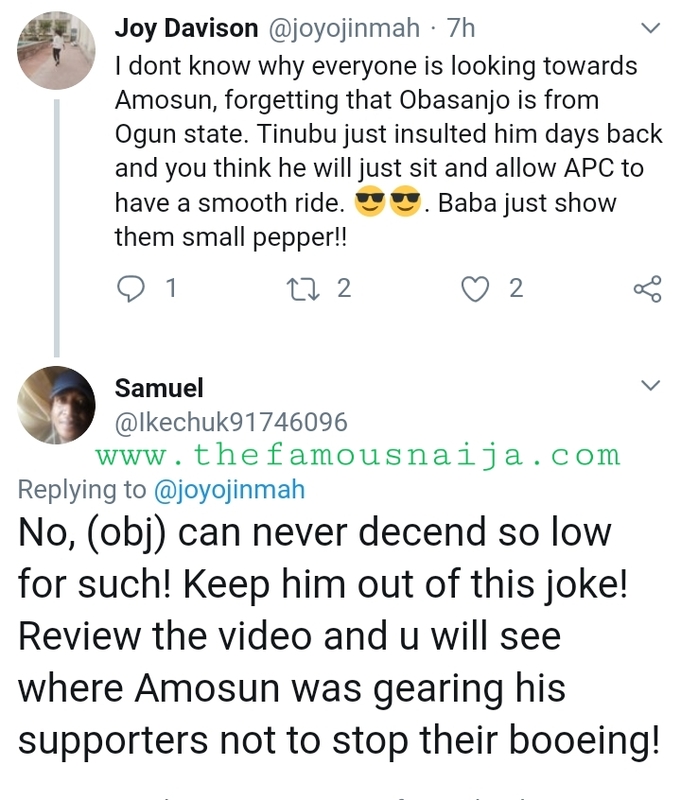 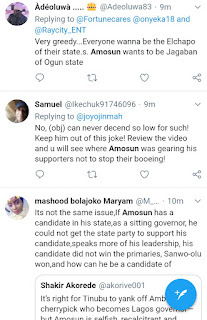 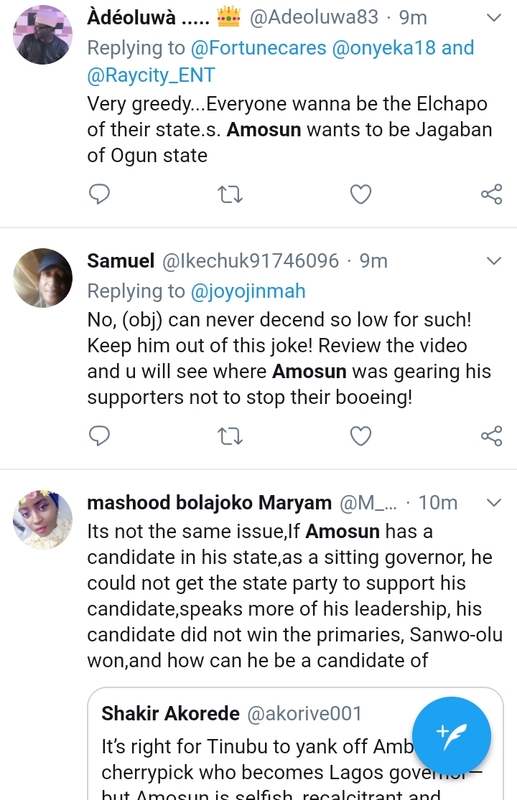 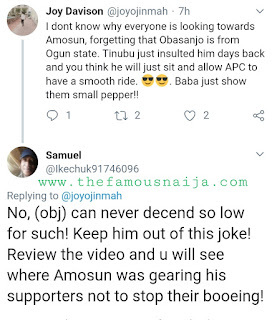 "Review the video and u will see where Amosun was gearing his supporters not to stop their booing!" 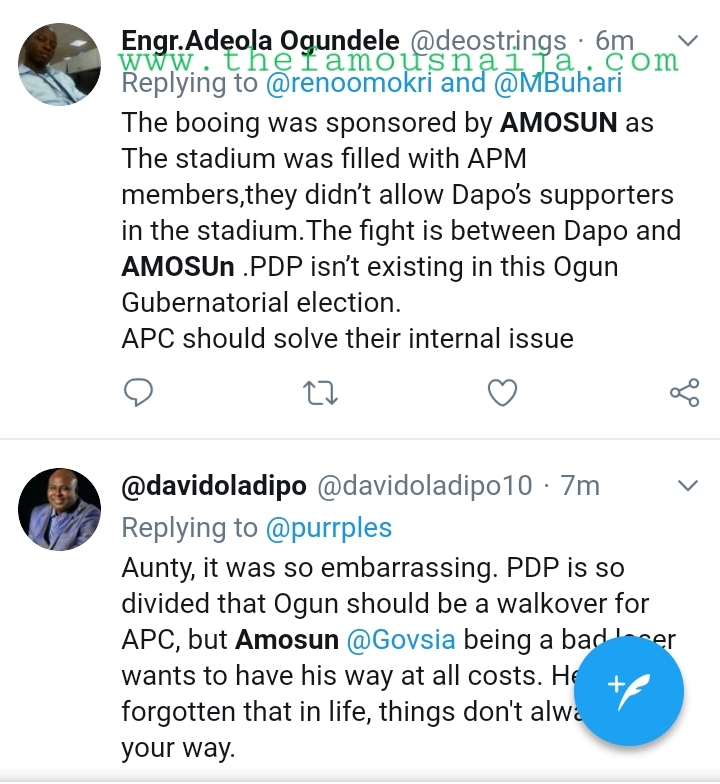 " Most people don't the truth about APC Ogun state presidential campaign. 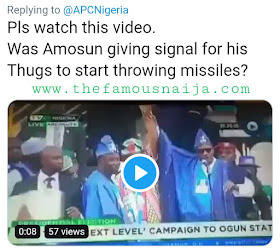 The harvock, and stoning was all plans of the incumbent governor Amosun"
APM adopted Buhari at the Presidential level." "Former governor of Ogun State took Dapo Abiodun to PMB in Aso Rock while Amosun also took Akinlade to Aso Rock. 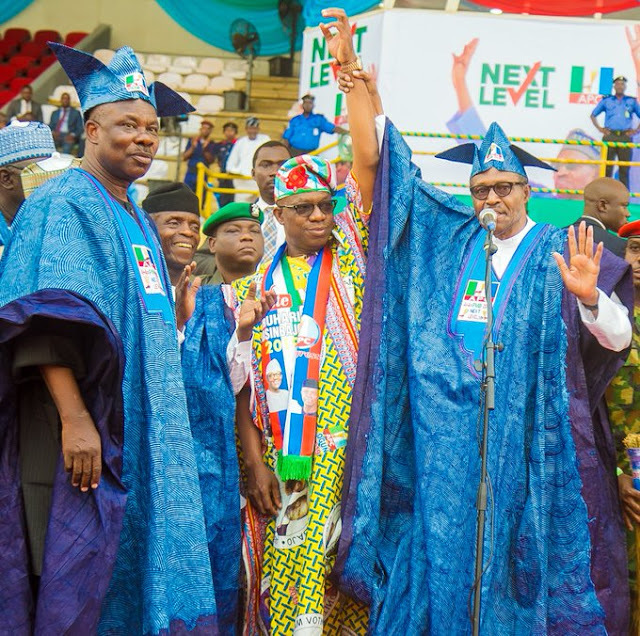 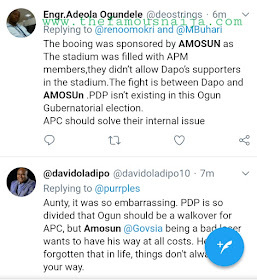 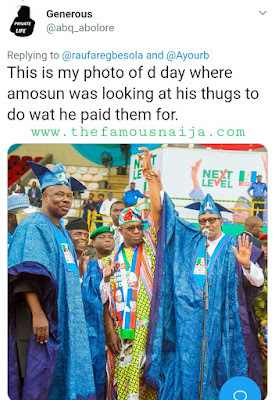 Amosun however threatened APC supporters who doesn't support Akinlade to extent of sacking Ogun waterside LG Chairman"
and filled the stadium with APM supporters"
"Pandemonium broke out when the APC flag bearer Dapo Abiodun's hand was supposed to be raised by Oshiomole, Amosun who had plans for Akinlade's hand to be raised had already instructed APM supporters to boo the action which led to stones thrown at Oshiomole." 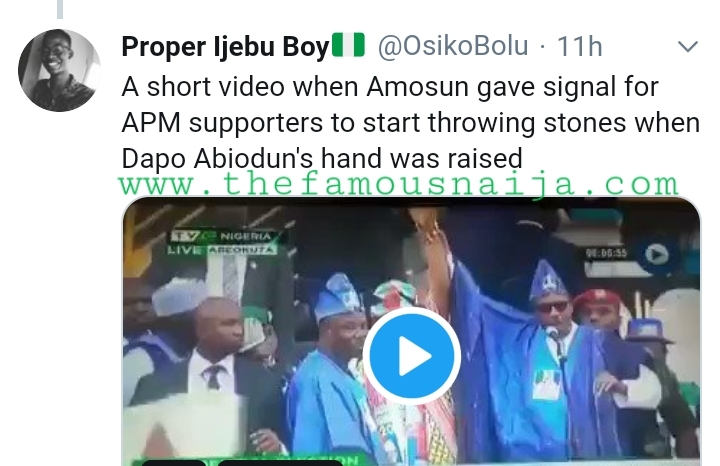 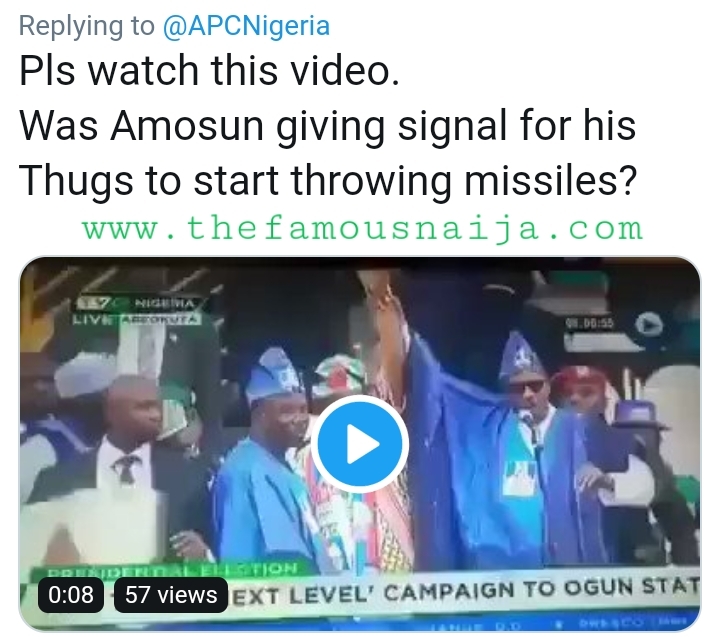 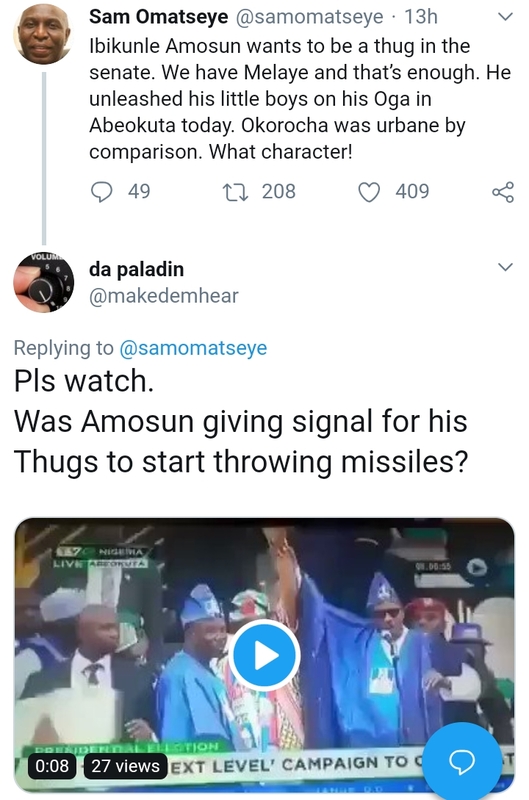 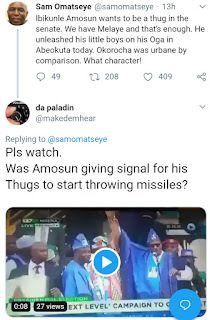 " A short video when Amosun gave signal for APM supporters to start throwing stones when Dapo Abiodun's hand was raised"
Pandemonium broke out when the APC flag bearer Dapo Abiodun's hand was supposed to be raised by Oshiomole, Amosun who had plans for Akinlade's hand to be raised had already instructed APM supporters to boo the action which led to stones thrown at Oshiomole.